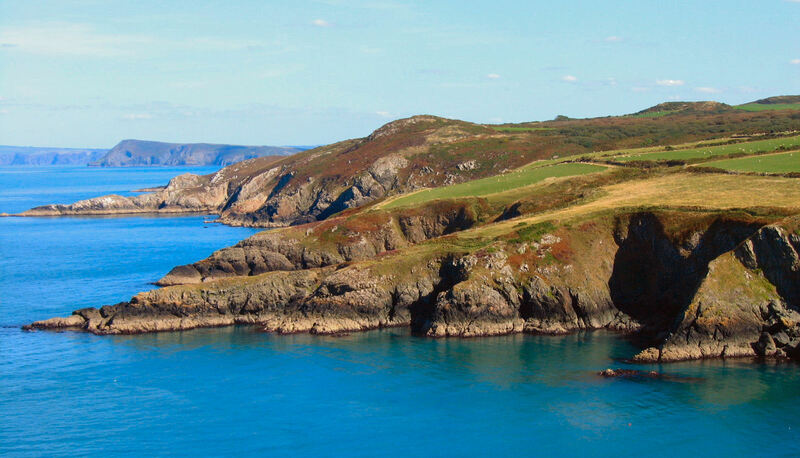 As a club based in South Wales we are very fortunate to live close enough to dive around the Pembrokeshire Coast, the only coastal national park in the UK and an area of "outstanding natural beauty" which also incorporates the Skomer Marine Nature Reserve. 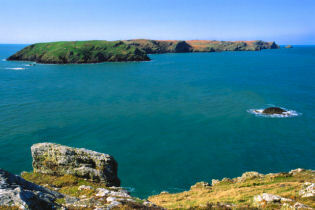 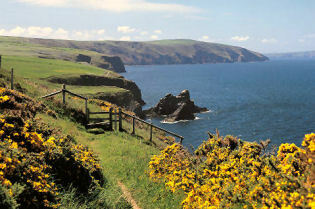 Pembrokeshire is also an area rich in wildlife with many species of birds and mammals to be found. 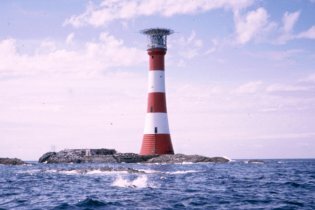 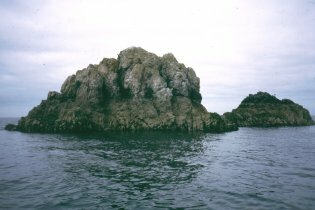 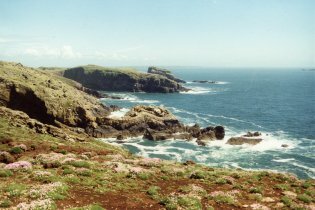 Some of the offshore islands are famous for their bird colonies such as the Gannets of Grassholme and the Manx Shearwaters of Skomer. 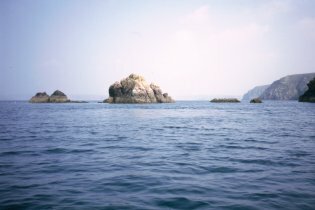 Many of the more remote beaches and islands become home to seals during the breeding season and dolphins and porpoises are often sighted in the area. 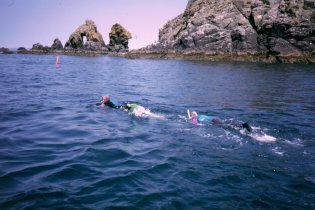 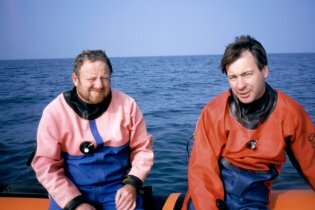 As well as the breathtaking coastal scenery, Pembrokeshire's underwater environment is also very scenic and abundant with a diversity of marine life. 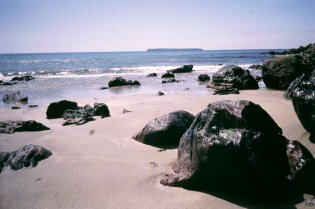 The strong sea currents which race around this stretch of coastline carry food and nutrients to ensure a healthy growth of both plants and animals within this marine environment. 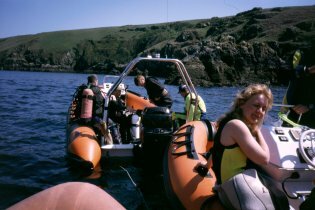 With many wrecks in the area for divers to explore and underwater visibility up to 15 metres this area is a superb venue for sports divers. 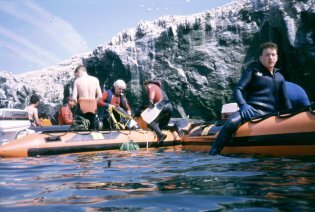 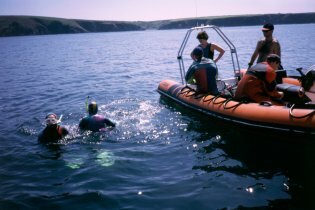 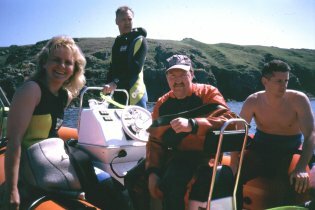 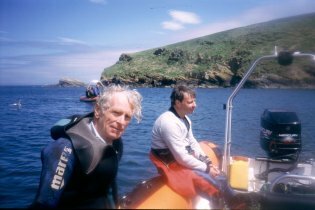 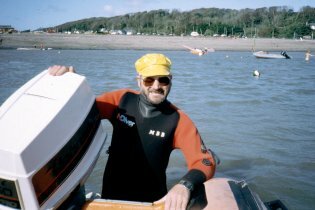 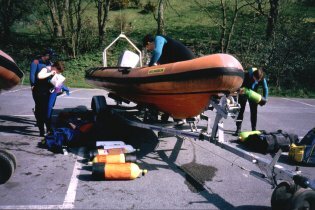 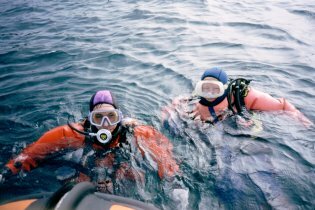 When diving in the area, we base ourselves at the West Wales Diving Centre at Hasguard Cross which is located on the Haverforwest to Dale road (B4327) and near to Little Haven and Broad Haven. 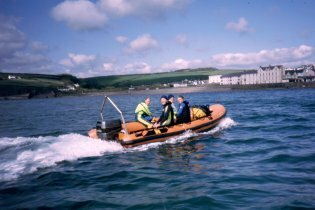 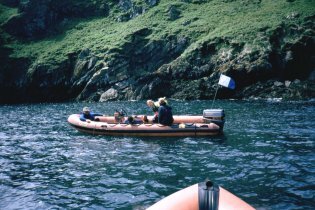 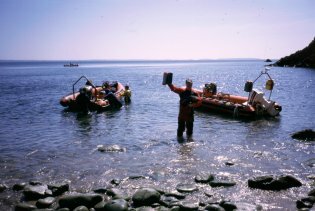 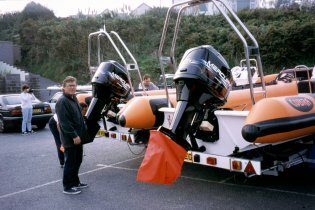 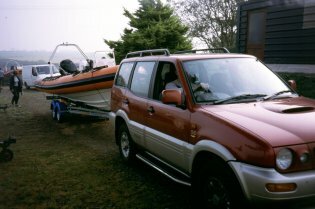 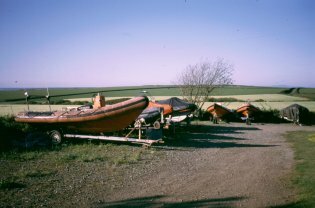 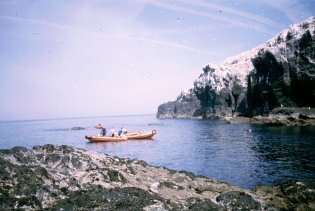 We keep our club boats and 4WD here and launch from local sites such as Broad Haven and Little Haven in St. Bride's Bay and Dale and Gelliswick in Milford Haven. 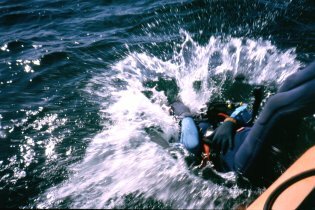 From these launch sites we can reach many of our favourite dive locations at any state of the tide and in almost any weather conditions. 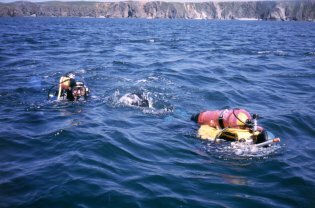 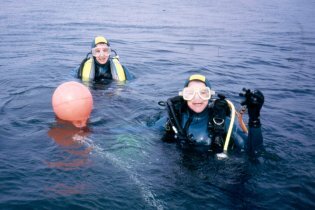 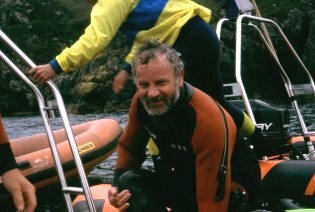 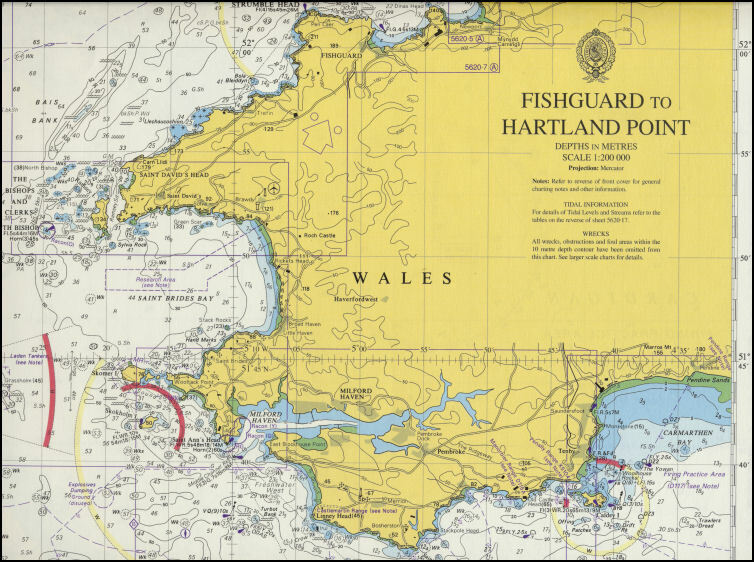 There are literally dozens of excellent dive sites around this area of coast, information on which can be obtained from the West Wales Diving Centre. 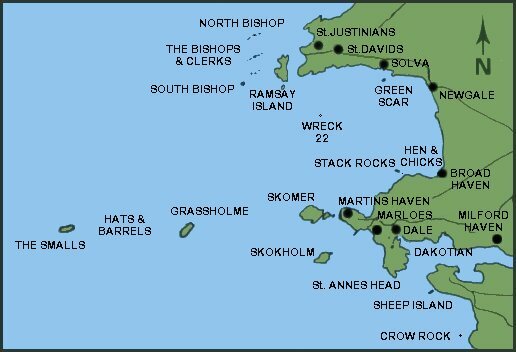 Some of the more famous dive sites are shown on the map below. 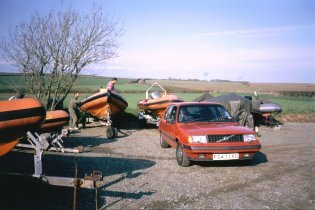 the boatyard at West Wales Divers. 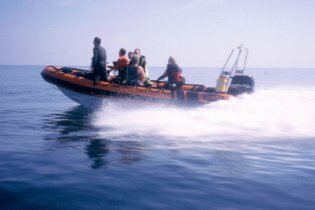 and towed to the chosen launch site. 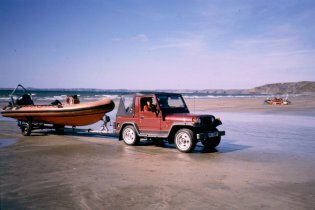 wheel drive vehicle to tow them. 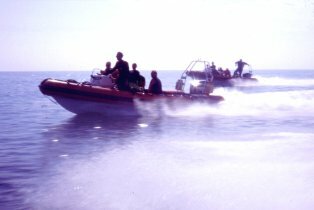 boats can carry us at speed to the various dive sites. 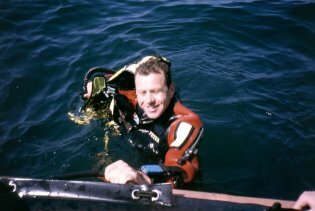 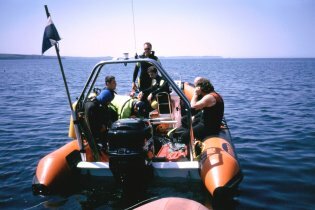 the dive gear is then loaded on to the boats. 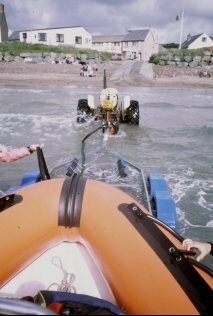 the beach to the sea and launch them. 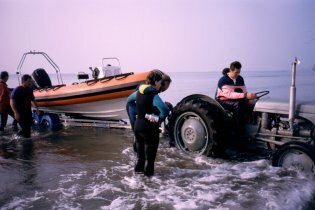 carried out on the beach. 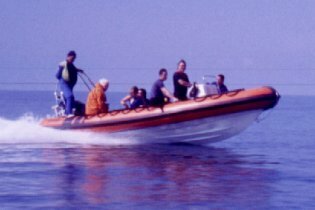 Somebody stays in the water to hold the boat steady while everybody else climds aboard. 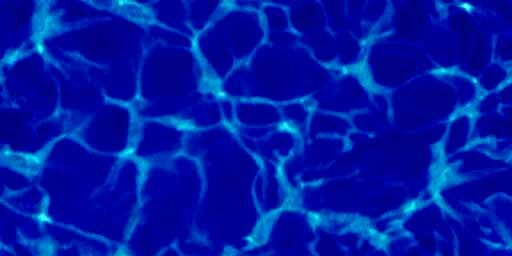 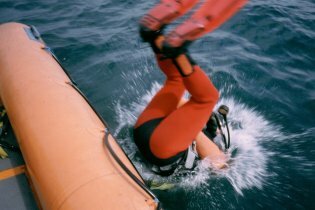 travel quickly to the chosen dive site. 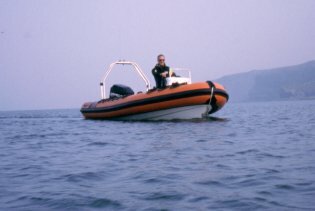 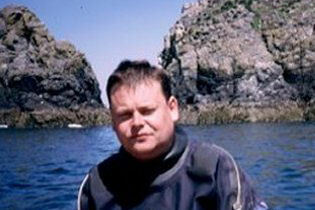 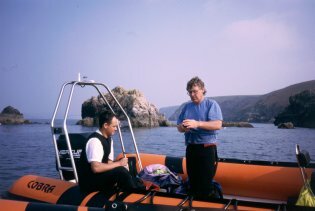 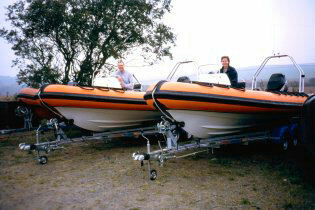 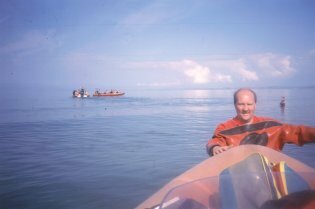 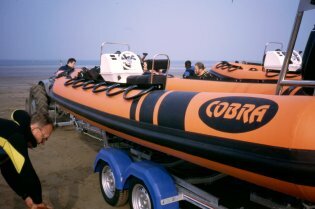 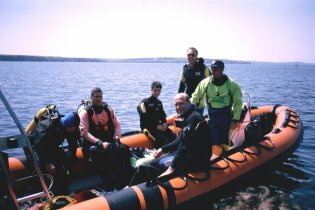 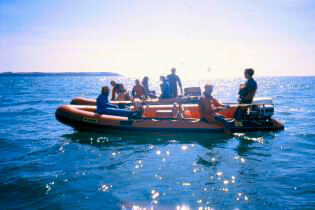 The boats can carry eight divers with ease and we usually take more than one boat on a normal dive day. 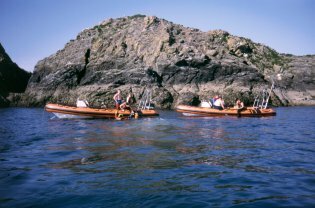 Sometimes we take all three boats. 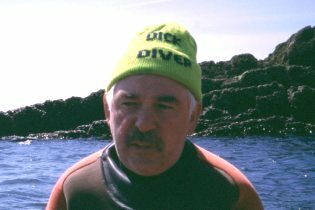 when other more exposed sites are inaccessible. 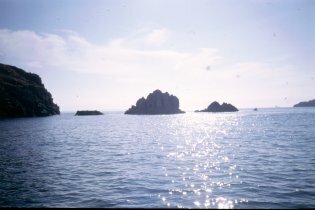 off the north wall of Skomer. 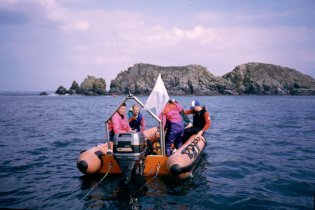 terrific pong that comes from the gannet colony. 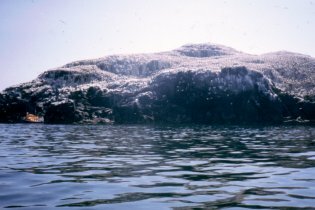 during periods of calm weather. 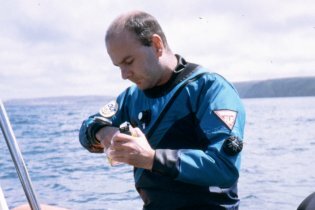 Gary Hortop wondering why he bought a Suunto Computer. 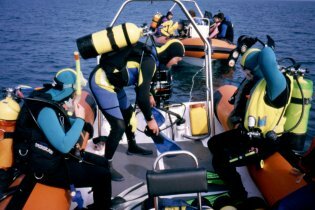 Divers kitting up on a crowded boat. 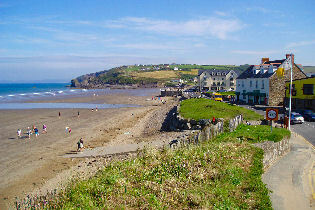 An afternoon in late summer. 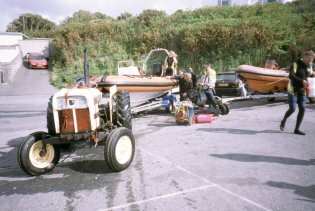 Recovering the boat with a tractor.